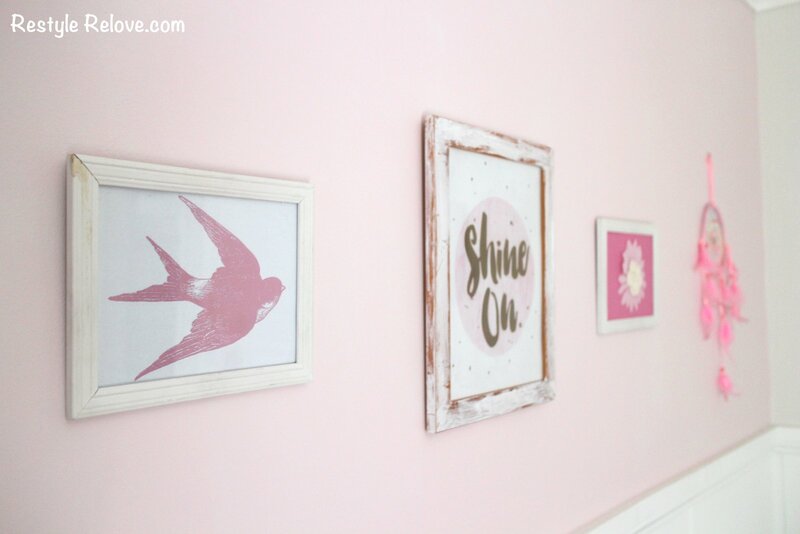 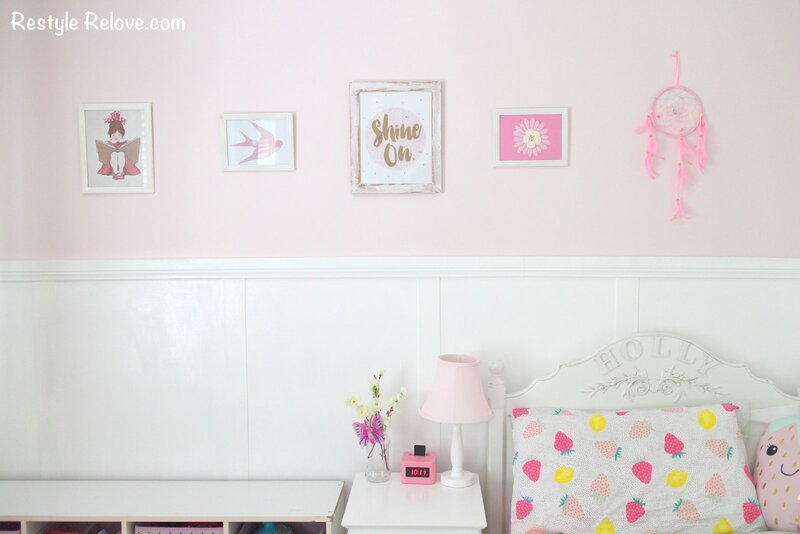 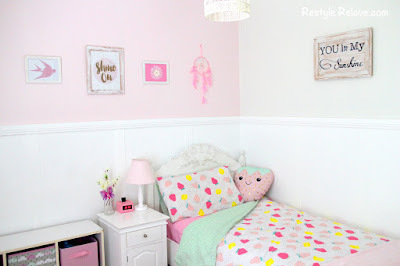 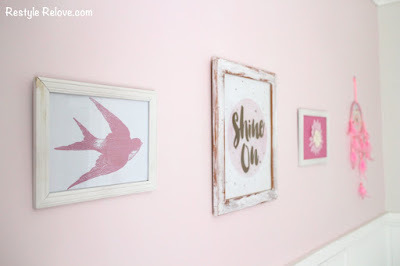 I decided it was time for my daughter's room to receive another makeover. 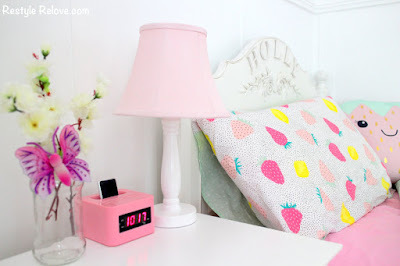 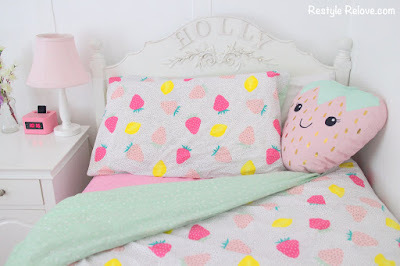 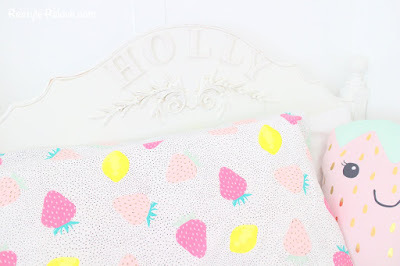 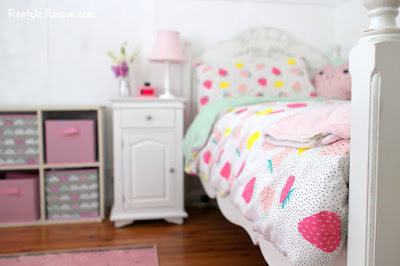 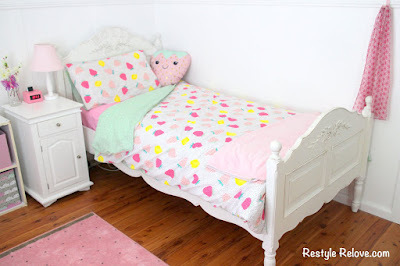 I purchased the cutest bedding at Kmart, which was the inspiration for the whole makeover. 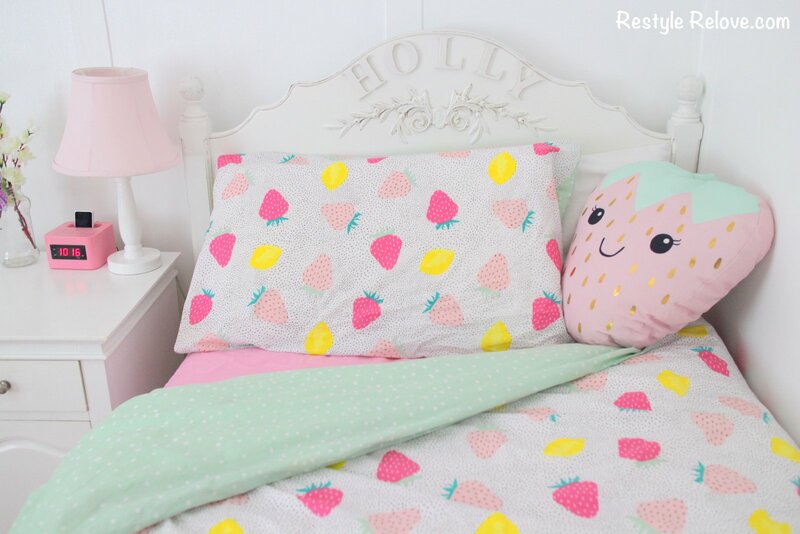 Don't you just love the strawberries. 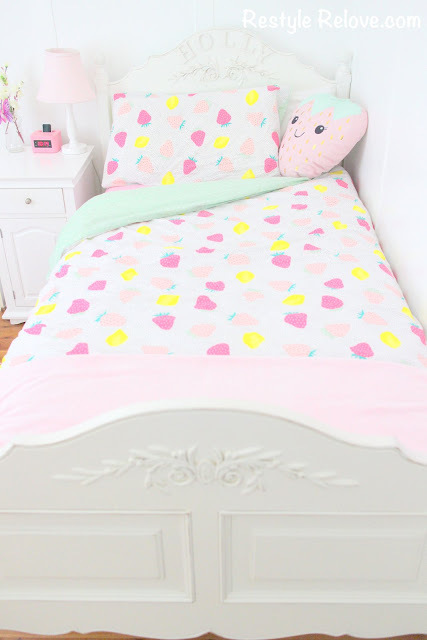 And new pink sheets. 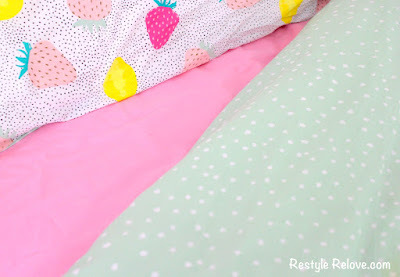 How cute is that green polkadot. 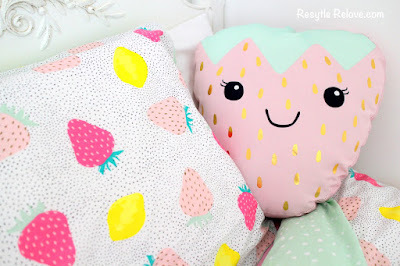 And don't get me started on the strawberry cushion! 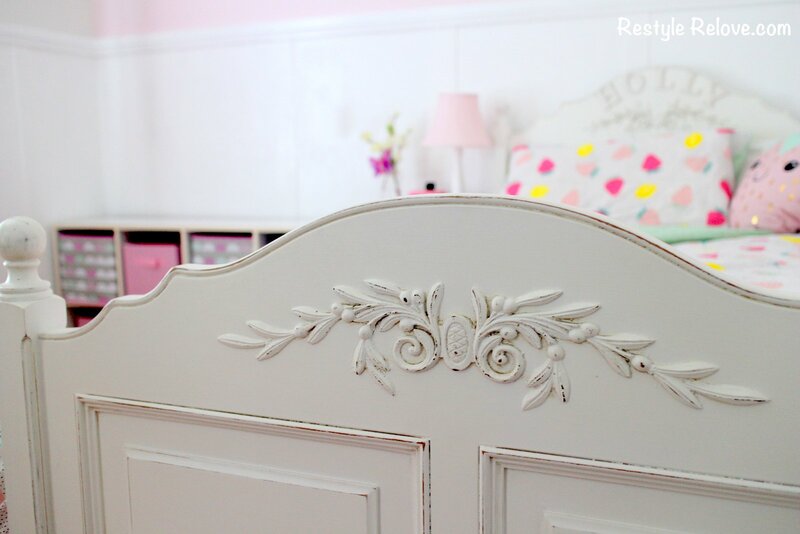 And of course I kept her gorgeous French style bed. I also created a feature wall behind her bed. 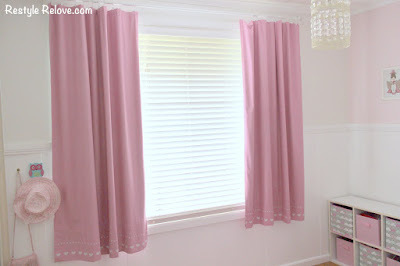 I chose Dulux Balerina pink for the wall colour and applied 2 coats. Then I added some really pretty wall art. I made the small framed artwork years ago. 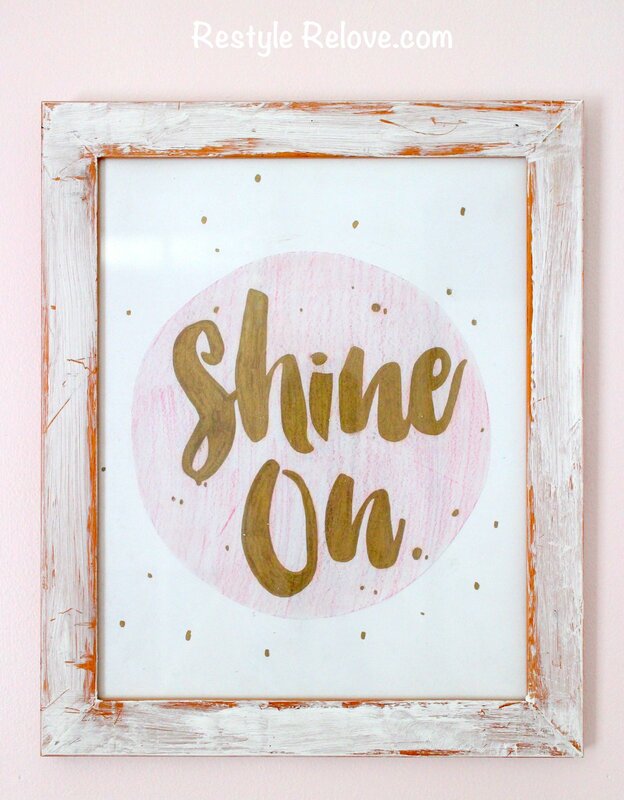 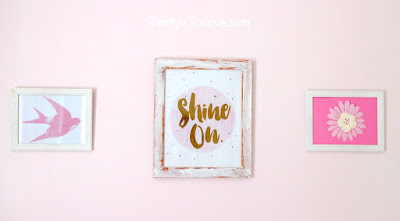 And I created the Shine On sign from a similar one I saw at Kmart. 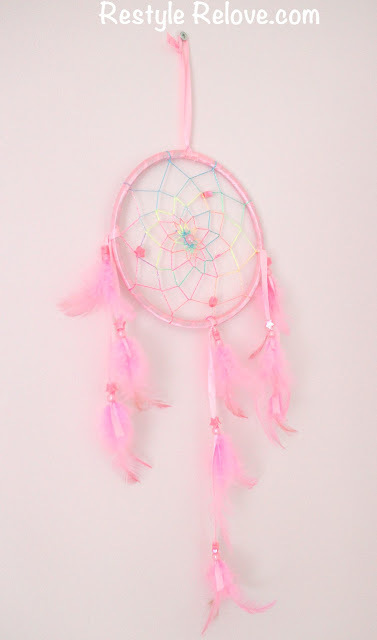 I put her dream catcher on the wall above her bed. 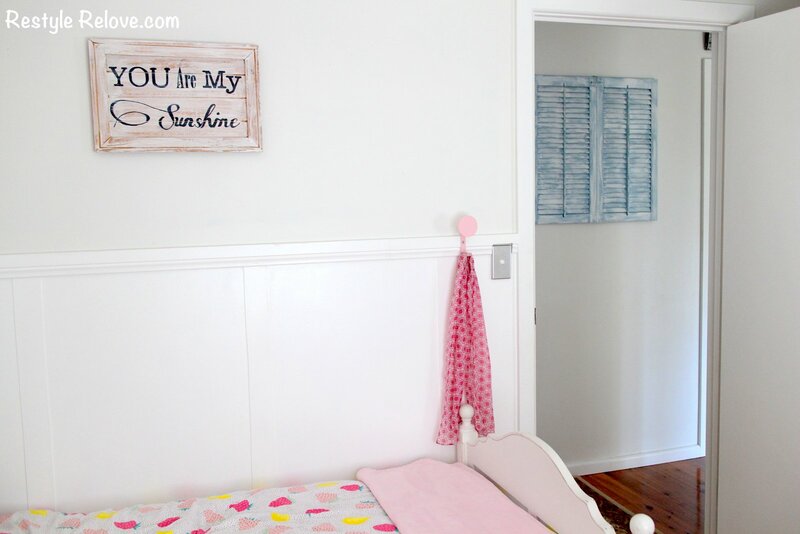 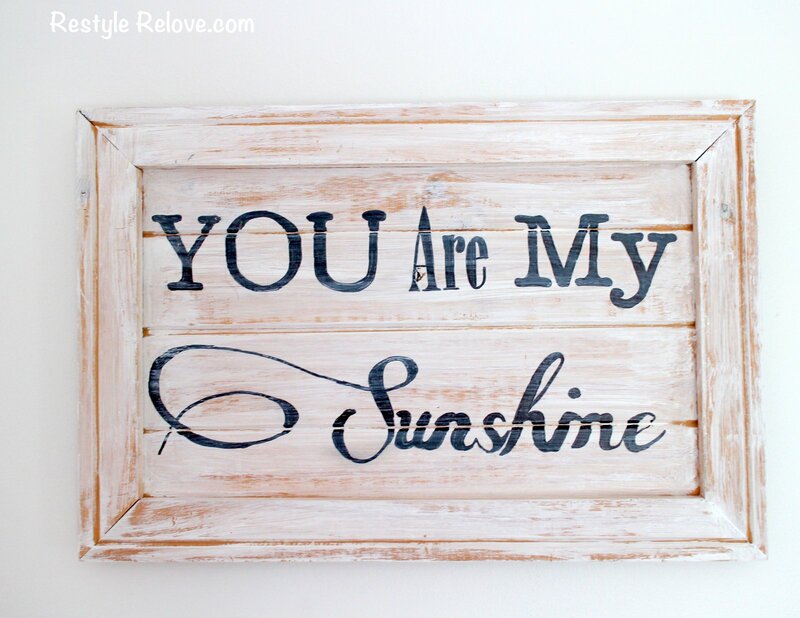 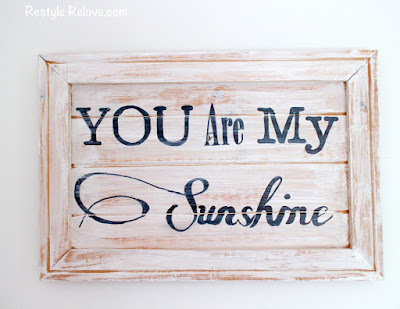 And on the wall next to her bed I added my "You are my Sunshine" sign. 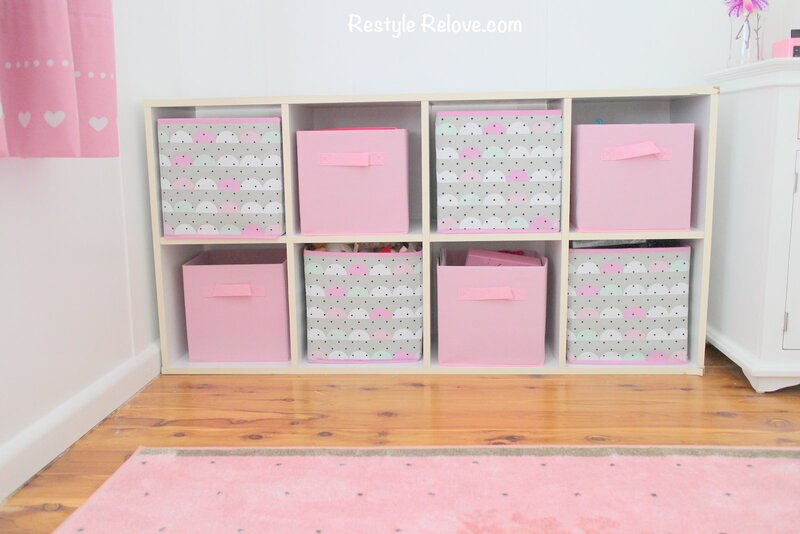 I put back her toy storage unit. 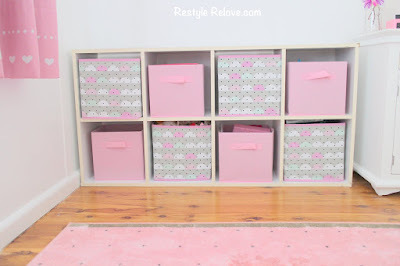 And purchased new pink storage boxes for it from Kmart. I kept her pink block out curtains. 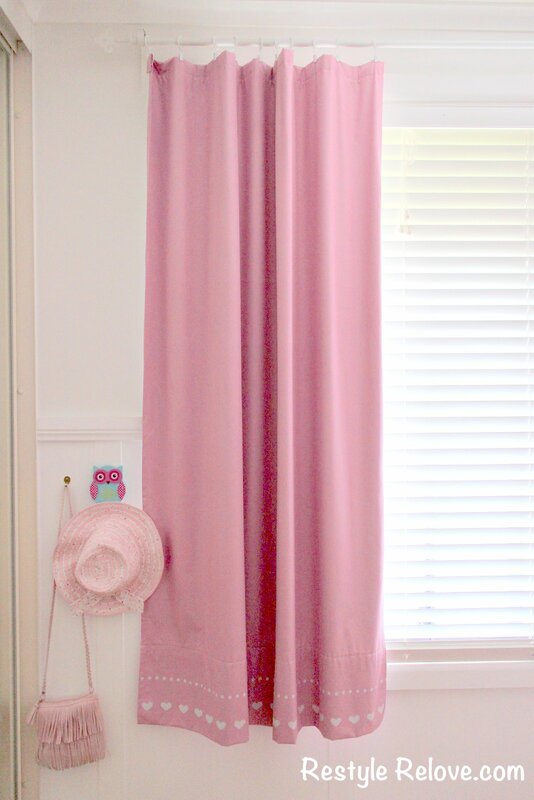 But installed a new curtain rod and cute curtain rod ends from Ikea. I kept her white bedside cabinet. 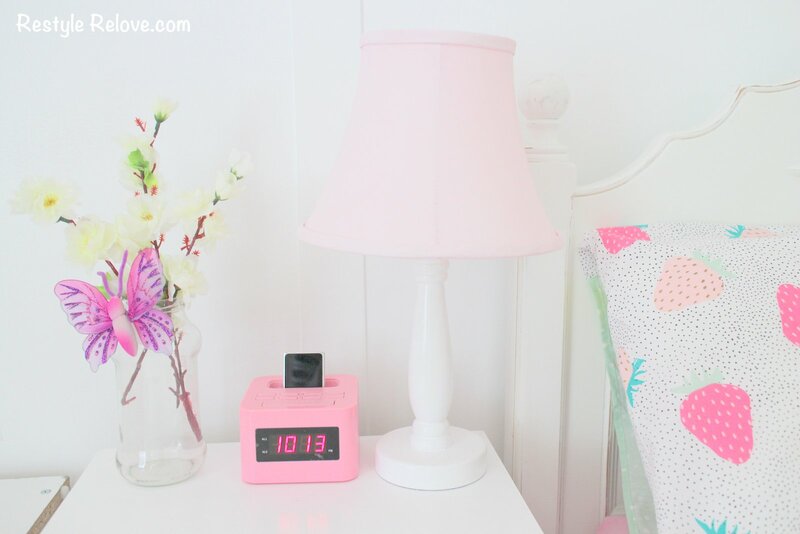 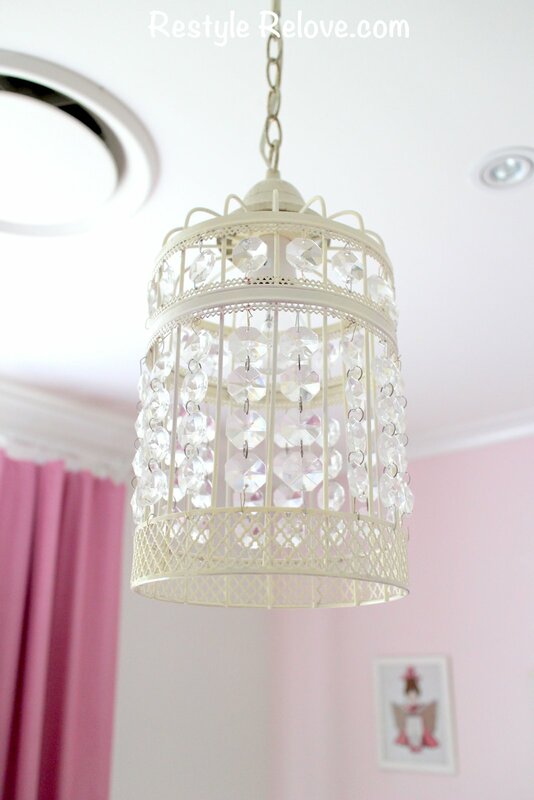 And DIY'ed her a new pink lamp. 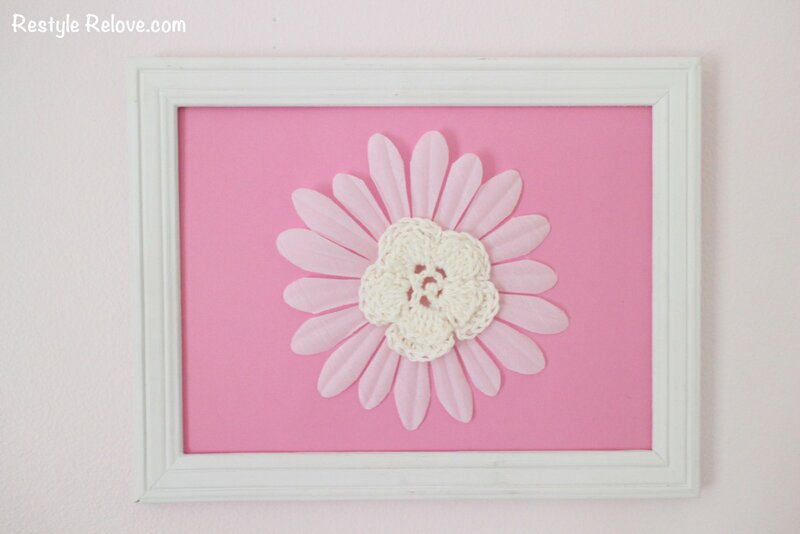 And added some cute faux flowers. 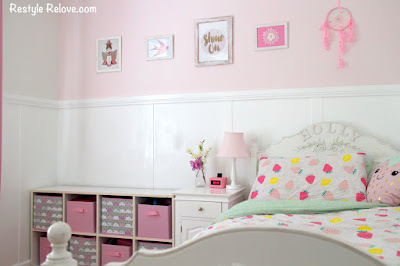 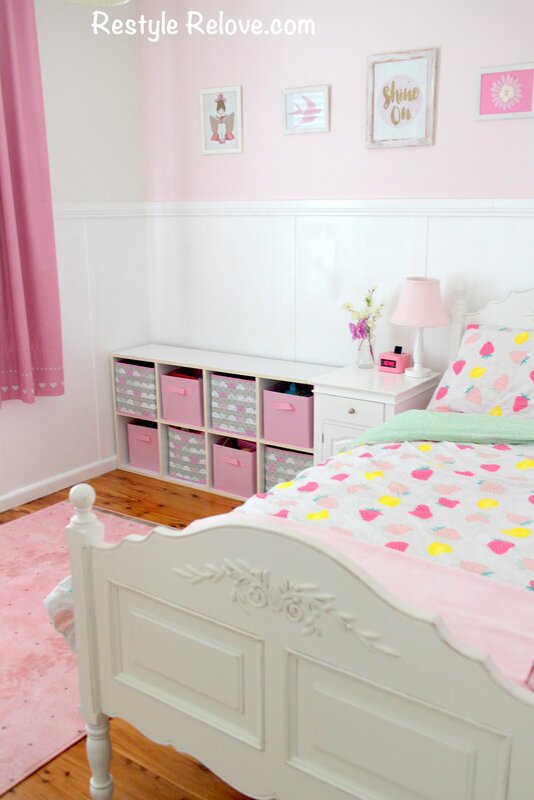 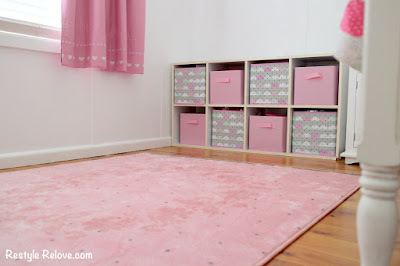 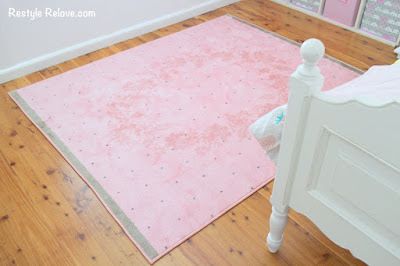 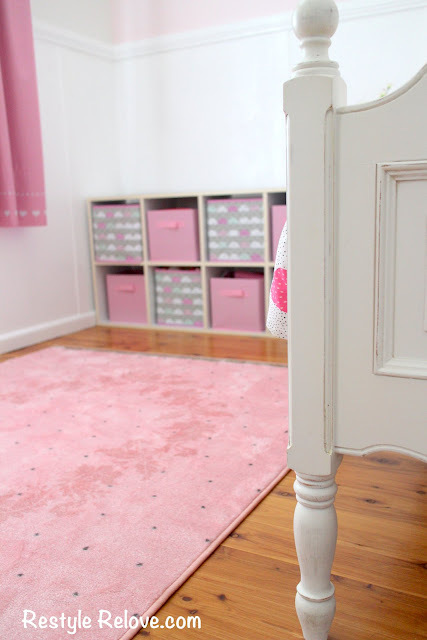 For her floor, I moved the blue rug to my son's bedroom, and purchased her a new pink one from Ikea. 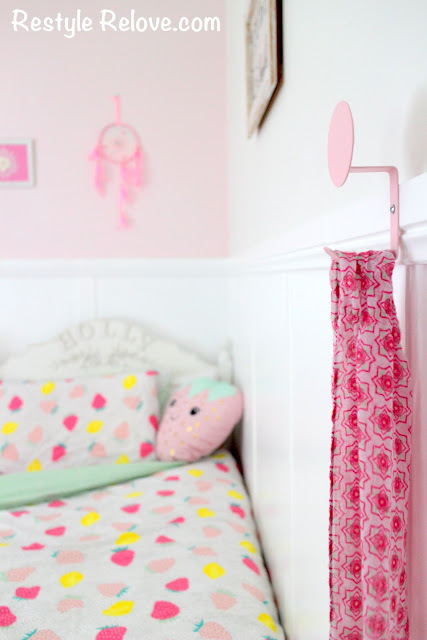 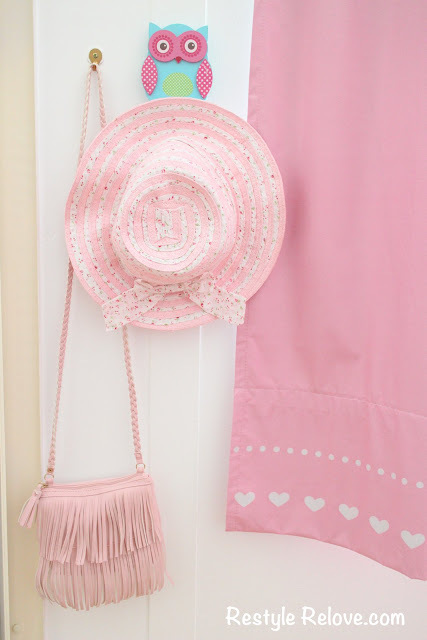 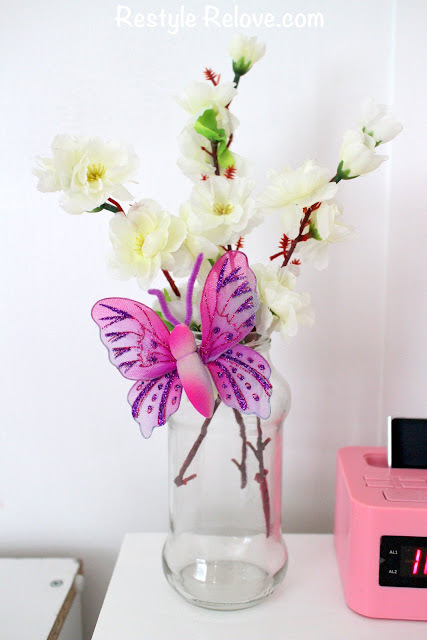 And I found this cute wall hook at Kmart which will be perfect for hanging her dressing gown in Winter. I kept her chandelier, but added back the clear crystals to add a bit of girly bling. 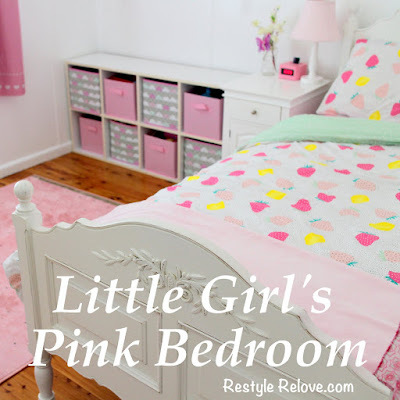 We both love her new room! I'm also in the process of restyling my son's room and look forward to sharing that with you soon!